The cannabis land rush is coming. looks poised to grab a massive share of the market. You’ve probably heard about the outrageous profits investors are making in cannabis stocks. 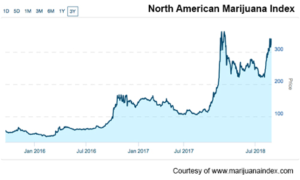 In the last three years the North American Marijuana Index (NAMI) has soared 408%. Some individual stocks have done much better, returning as much as 3,146% (Aurora Cannabis), 3,502% (Canopy Growth), and even 7,429% (Cronos Group). But investors who bought those and other cannabis stocks have had to endure a hair-raising ride. In January, Cronos stock lost 50% of its value. Aurora lost 43%. And Canopy lost 42%. The NAMI lost 39%, and continued to slide until mid-August of this year, ultimately losing three-quarters of a year worth of gains. Now it’s starting to rise again, up 27% in the last 13 days, as of this writing. Even with those losses the gains are spectacular, however, many investors don’t have the stomach for that kind of volatility. This is why you’ll be glad to know there’s a better way to reap big cannabis profits.First, take a look at why investors are so eager to jump on the cannabis bandwagon. Learn More About CRXPF at your brokerage today! The cannabis revolution is just getting started. And it’s growing fast. In the U.S., 31 states already have laws allowing the use of cannabis, either medicinally or recreationally. Seven more states are in the process of legalizing its use, and as of October 17th of this year, both medical and recreational cannabis will be legal all across Canada. The legalization trend is creating a tremendous market. Research firm ArcView estimates that the cannabis market will grow to $47 billion in the next 10 years. That’s a compound annual growth rate of 47%. Cannabis companies are jockeying for position and as with any industry, there will be winners and losers. Watch for a major shake-up within the next 24 months, with some companies rising to the top, and others going out of business for good. The chance for life-changing profits is too good to pass up, but cautious investors who are eager to share in the explosive profits need a risk-reduction strategy to protect them from the volatility and regulatory risk inherent in cannabis investing. 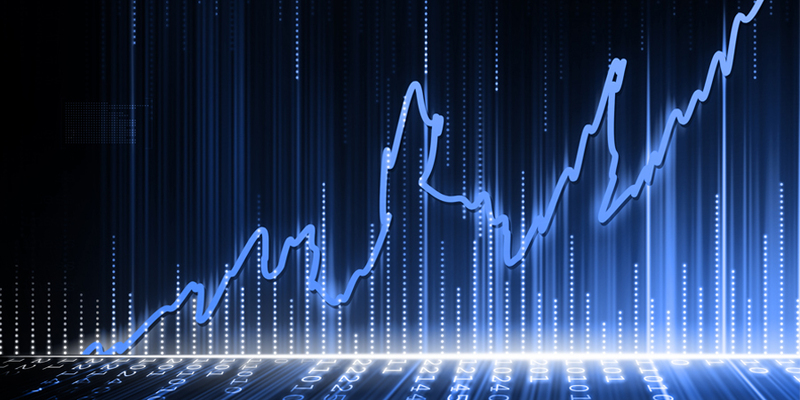 One of the best risk-reduction strategies in any industry is to invest in companies with tangible assets. In the cannabis industry, that means finding companies that supply or service cannabis growers and share in their growth. The Motley Fool says “The ancillary [cannabis] market could deliver even more impressive growth” than cannabis producers. They’re referring to real estate holding companies specializing in cannabis properties. Investing in cannabis-growing properties allows investors to profit from the cannabis revolution without the regulatory risks that come with the cultivation and retail sides of the business. Right now, there’s a real estate rush for cannabis properties. The Los Angeles Times says that cannabis growers are “willing to pay top-dollar rent,” noting that in some areas, prospective tenants are offering double or even triple the asking prices. News website Curbed reports that “prices for scarce square footage have already skyrocketed.” The Real Deal, a real estate news website, says that cannabis growers typically pay anywhere from a 25% premium to two or three times higher on real estate. One such cannabis real estate holding company is Innovative Industrial Properties, Inc (IIPR). The company focuses on licensed medical cannabis growers, acting as a source of capital by acquiring the grower’s real estate and leasing it back to them. By selling the real estate to IIPR and then leasing it back, growers then have the opportunity to redeploy capital into the core operations of their companies. Since going public in late 2016, IIPR stock has gained a tidy 136%, to $43.23. With a market cap of $282.86 million, that hardly makes the stock a bargain. Which is why you’ll be excited to know there’s a less inflated way to capitalize on this savvy business model. 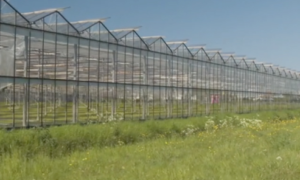 Crop Infrastructure Corp (OTC:CRXPF / CSE:CROP) is a business that invests in the real estate, branding, and greenhouse infrastructure that cannabis producers need. The company owns the land, infrastructure, and equipment which it leases back to producers, creating win-win scenario for both parties. Producers get the land they need without the massive capital outlay required to buy land. And Crop Infrastructure Corp gets the land appreciation and property upgrades, plus a steady cash flow from its leases, management fees, and brand licensing fees. It’s a solution for a problem that has plagued the industry and prevented its natural growth. Although there is huge demand for cannabis in states where it is legal, producers can’t get traditional bank financing to build their businesses. That’s because with cannabis still illegal at the Federal level, bank loans to cannabis producers cannot be FDIC-insured. That leaves cannabis businesses at the mercy of non-traditional financing agents who charge considerably higher interest rates, hobbling cannabis growers from the get-go. There is no practical reason for producers to need to own the land they’re on. Instead, by leasing land, they can start their businesses with minimal resources and pay their leases through cash flow. Crop Infrastructure Corp also provides infrastructure development like greenhouse canopies, roads, water, and electricity, giving cannabis producers turnkey opportunities. What’s more, it provides cultivation, business management, and marketing expertise via already established brands, thus freeing up producers to do what they do best – grow cannabis. These services are provided for a series of brand licensing, leases, and management fees. Crop Infrastructure’s portfolio consists so far of interests in over 1,095 acres of outdoor production and 89,000 square feet covered or under construction. An additional 218,400 square feet of light supplemented greenhouse facilities are scheduled. This gives the company one of the largest producing footprints of anyone publicly traded in the cannabis business. But it isn’t just the value of the real estate that makes CRXPF valuable to investors. Crop Infrastructure Corp is strategically acquiring its real estate holdings in areas with low water and power costs. Their 35,000 square foot facility in Washington, for example, enjoys the lowest power costs in the U.S., allowing producers to achieve a target cost per gram of $0.30 USD. Most growers aim to achieve costs of $1.00 USD, which means CRXPF’s tenant growers have a significant cost advantage. That cost advantage translates to higher volume sales, which in turn translates to higher brand license fees paid to Crop Infrastructure Corp, as well as great incentive for other licensed producers to turn to CRXPF for a competitive advantage. In May 2018 Crop Infrastructure Corp completed a private placement worth $4.35 million CAD with each 40-cent unit consisting of one common share of CROP and one-half of one common share purchase warrant at an exercise price of $0.55 good for 18 months. This financing gives CRXPF the capitalization to continue its expansion, purchasing further real estate assets and building out properties. Another private placement was completed in July 2018 for $1.6 million CAD at $0.30 per unit. Each unit consists of one common share and one common share purchase warrant at an exercise price of $0.50 per Warrant Share for a period of two years following the date of issuance. In total, the company has raised $12 million to date. In California, where both medicinal and recreational cannabis are legal, CRXPF bought an 8.46 acre producing property in Humboldt County with a 10,000 square foot greenhouse for medicinal cannabis and 20,000 square feet of recreational licensed canopy. The tenant’s first crop was harvested at the end of August, and is expected to yield approximately 3,000 pounds of cannabis for the 2018 season. Crop Infrastructure paid $2 million for the land and equipment at Humboldt in return for a 30% residual interest in the project with preferential payback on the funds it has advanced to the project consisting of 60% of the net after-tax profits. CRXPF owns two properties in Washington state. The first Washington property is a 9-acre parcel in Grant County with 35,000 square feet of state-of-the-art canopy. The tenant at this property initially harvested 350 pounds of high quality cannabis, and was able to successfully ramp up to full production in September 2018. The perpetually harvesting facility should consistently yield approximately 1,000 lbs of cannabis per month. The second, located in Grant County, consists of 44,000 square feet of canopy under construction in 12 greenhouse structures. Another 114,000 square feet of canopy is planned, bringing total canopy on the property to approximately three acres. The first six greenhouses should be complete within 45 days, and are designed to yield 12,000 pounds per year. The cost of electricity at the both the Grant County sites is only $0.02 per kilowatt-hour, among the lowest rates in America. This should result in production costs of less than $150 per pound, or $0.33 per gram, an exceptionally competitive price. The company purchased a 49% interest in 315 acres in Nye County, Nevada for $1.3 million in cash. The acreage will be planted with high-CBD hemp at a cost of $90,000 USD. Nye County was selected for its temperate climate, which is ideal for greenhouse growing. The property includes 300 acres of private water rights, with 240 acres under automatic irrigation and fertilizer injection systems. A total of 50 acres is set aside for cannabis greenhouses and the company announced on August 22nd that it has leased an additional 750 acres in Nye County, bringing the total Nevada acreage to 1065. With the current land CROP owns its tenant growers have the opportunity to cultivate massive amounts of high CBD flower each year. One can assume the plan is to concentrate as much flower as possible into CBD oil. If that happens the potential sales numbers become truly impressive. It is expected that Crop’s tenant grower will be able to harvest approximately 217,724 Kg of flower , or 29,674kg of CBD isolate, per 240 acre parcel harvested twice annually. CROP’s tenant grower intends to plant the full 1065 acres in 2019 and as Nevada has allowed hemp cultivation/production since 2016, the tenant grower does not require hemp processing licenses. CBD products in Nevada are available for purchase over-the-counter and without a prescription. Crop Infrastructure Corp also owns interests in properties in Jamaica and Italy. The Jamaica project consists of a 49% interest in a 217,000 square foot canopy on five acres of prime agricultural land in Westmoreland Parish, some of the most fertile land in Jamaica. There is a robust cannabis tourism trade in Jamaica, as well as interest in developing pharmaceutical potentialities. In Italy, the company is set to open two CBD retail outlets before the end of 2018. This comes after a June 2018 announcement that CRXPF acquired the rights in Italy and the US for 50 cannabis wellness products from The Yield Growth Corp. The $1 million deal grants Crop Infrastructure the license to infuse those products with high grade CBD. The company is also 30% owner of a 25 acre property in Italy that is planted with high grade hemp. The property includes three drying facilities for the preparation of dried hemp biomass and has identified a location to build a state-of-the-art extraction facility to process the CBD Isolate. By focusing on land, infrastructure and branding, Crop Infrastructure Corp has taken out as much investment risk as possible. With their hard assets there is no regulatory risk. And with their management and production fee arrangements, there is plenty of upside for profits. The company has aggressively built out its greenhouse portfolio. What’s more, the company is positioned to become one of America’s largest cannabis real estate holding companies. Investors looking to profit from the cannabis revolution but who want to minimize risk should be advised to take a close look at Crop Infrastructure Corp (OTC:CRXPF / CSE:CROP). Next articleNaked Brand Group (Nasdaq: NAKD) the Markets Most Sizzling e-Tail Giant!